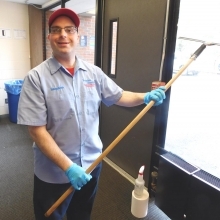 Carlton works at Sherman Dining Hall at Brandeis University during the academic year. 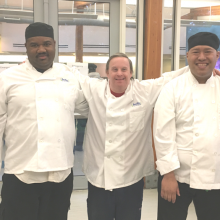 After a short summer break, GSE participants return to work at Bentley University’s dishroom. 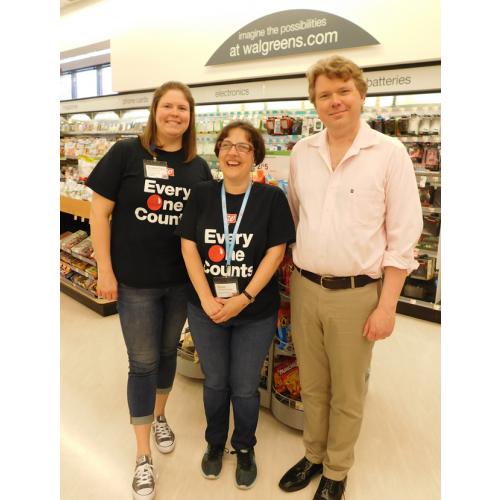 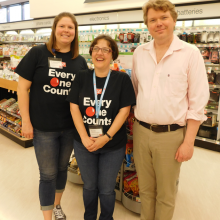 Congratulations to Renee Allain, who celebrated 20 years of working at Walgreens on Weston Street, Waltham in May! Stephen works at Brandeis in B&G (Buildings and Grounds) and Sherman (dishroom). 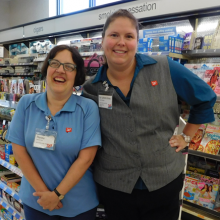 Renee Allain celebrates 19 years of working at Walgreens on Weston Street in Waltham! 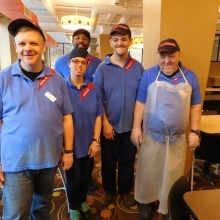 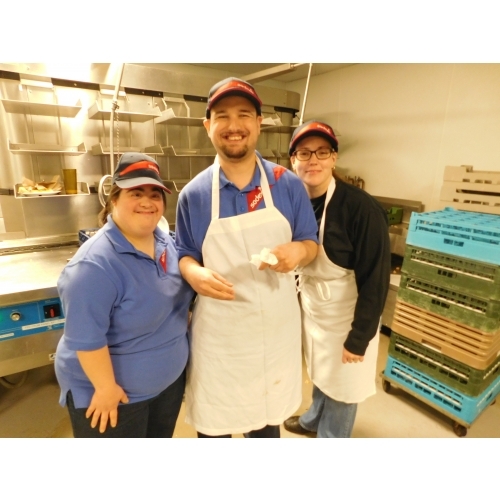 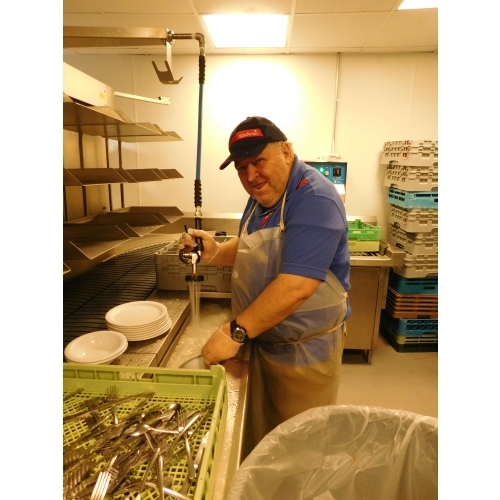 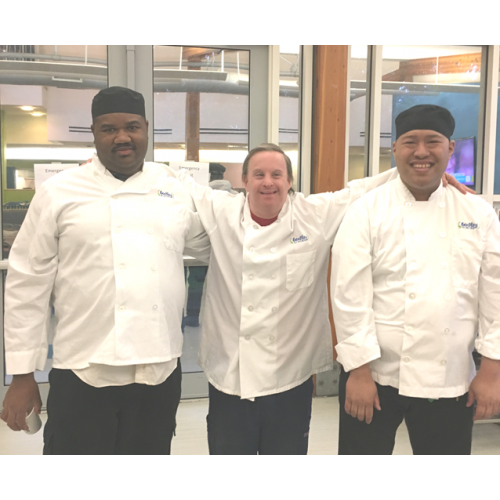 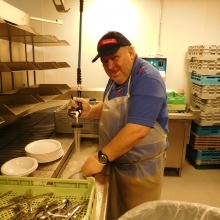 The Group Supported Employment (GSE) crew work at Sherman Dining Hall. 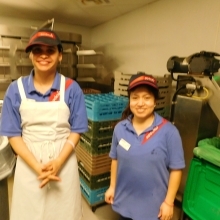 Jen and Joseline work in the dish room at a Brandeis University dining hall. 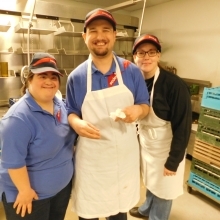 Sheila, Chris, and site manager Amy work in the dish room at one of Brandeis University's dining halls.